A Pro Analytical – is a Bootstrap Admin Template with the modern design concept.  A Pro Analytical – can be used by developer developing web applications like custom admin panel, project management system, admin dashboard, application backend, CMS, CRM, business website, corporate, portfolio, blog etc. Impressive Dashboard is eye-catching design for customers to stay a long time on your website. A Pro Analytical – Responsive Bootstrap 4 Admin Template comes with Layouts. A layout such as Boxed, Fixed, Collapsed Sidebar. Box Layout is helpful when working on large screen. Fix Layout is chosen when your sidebar is bigger than the content because it prevents extra unwanted scrolling. If you have a long sidebar than you should combine this with a fixed layout. A Pro Analytical – Bootstrap 4 Admin Templates comes with Calendar App. A Pro Analytical – Bootstrap 4 Admin Dashboard comes with the weather app. 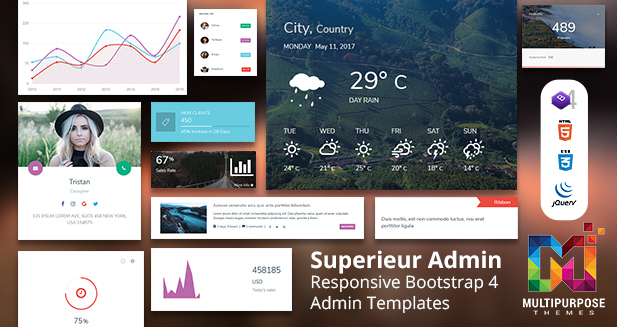 A Pro Analytical – Responsive Bootstrap 4 Admin Template provides widgets. so you can add your blog to the admin panel. 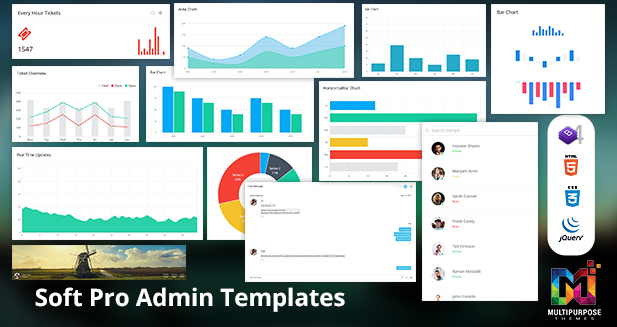 A Pro Analytical – Premium Admin Template comes with Chart such as ChartJS, Morris, Sparkline, Flot, Inline charts, jQuery Knob. ChartJS contents four type of chart options such as Area chart, Line chart, Donut chart and Bar chart. Flot chart contents Interactive Area Chart, Line Chart, Bar Chart, etc. Inline chart contents jQuery Knob Tron Style, jQuery Knob Different Sizes, Sparkline Pie, etc. Morris Charts contents Revenue Statistics, Sales Report, Analytics, etc. Piety chart contents Pie, Donut Chart, Line Chart, etc. A Pro Analytical – Premium Admin Template comes with flot charts. A Pro Analytical – Bootstrap Admin Template comes with User card. A Pro Analytical – Bootstrap Admin Templates comes with General UI Elements such as Alerts and Callouts, Custom Tabs, Progress Bars and much more. A Pro Analytical – Bootstrap Admin Template comes with Modals with Examples. A Pro Analytical – Bootstrap Admin Template comes with Notification such as Simple Toaster Alerts, Normal Alerts, Dismissable Alerts and much more. A Pro Analytical – Bootstrap Admin Template comes with Sliders such as Bootstrap Range Slider, Carousel Slider Only Slide, Carousel Slider with Controls, Carousel Slider with Indicators and much more. A Pro Analytical – Bootstrap Admin Templates comes with Notification Alert. A Pro Analytical – Bootstrap Admin Templates comes with Tabs. A Pro Analytical – Bootstrap Admin Templates comes with Timeline. A Pro Analytical – Bootstrap 4 Admin Dashboard comes with Mailbox.